As announced earlier Gi2MO results were presented during the 8th Extended Semantic Web Conference in Greece/Heraklion. The conference was held between May 29th – June 2th, with the Gi2MO presentation on 31st of May. Gi2MO was shown during the poster session hosted as a part the conference. 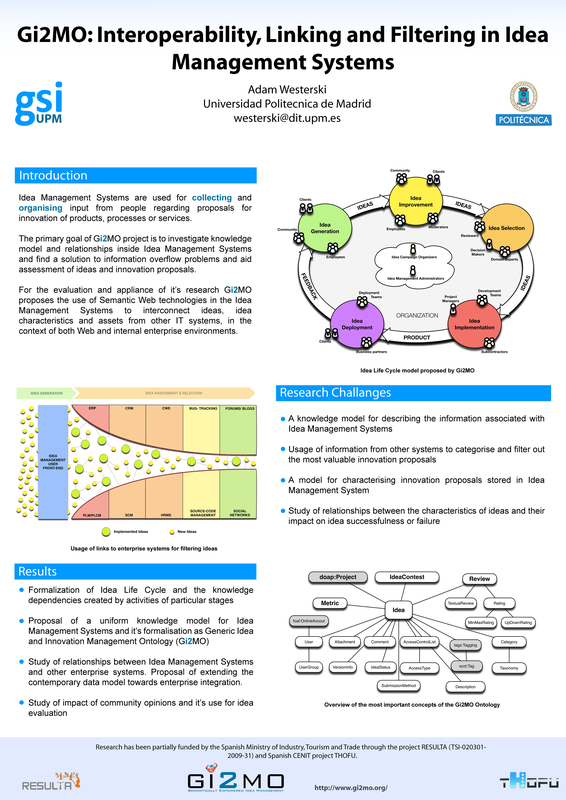 The paper was targeted for the PhD Symposium so the focus was oriented less towards the products (as in software) and more into the main research questions and particularities of applying Semantic Web in Idea Management for solving some of the problems that we cope with in this area.